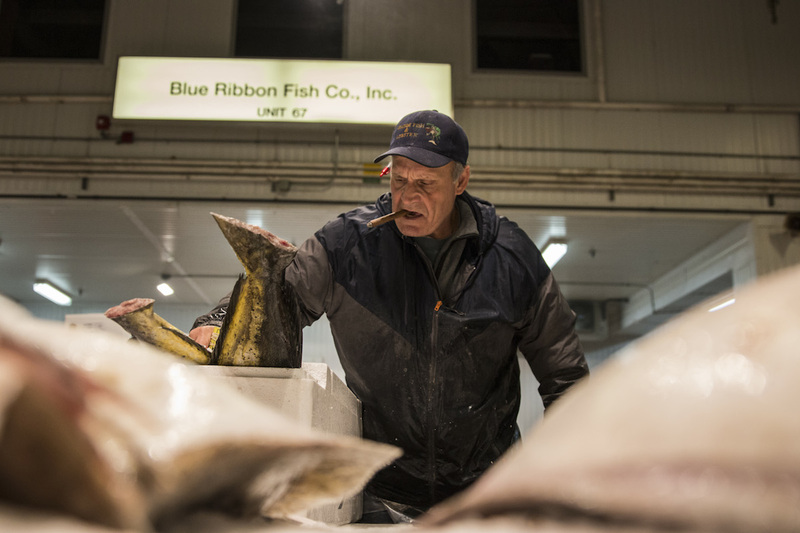 A Blue Ribbon Fish Co. employee sorts and weighs fish at the Hunts Point Fish Market (photo by Jessica Bal). The Hunts Point wholesale markets keep New York’s food supply flowing every night in relative obscurity. Since surviving a close call during Hurricane Sandy and being promised an upgrade by Mayor de Blasio, they’re back in the spotlight once again. 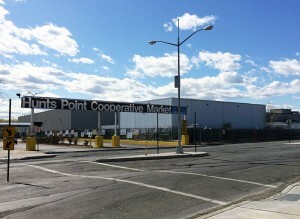 Josephine Infante – president of the Hunts Point Economic Development Corporation – said the attention is welcome, but made it clear that the time for promises has passed. More serious commitments are now required. 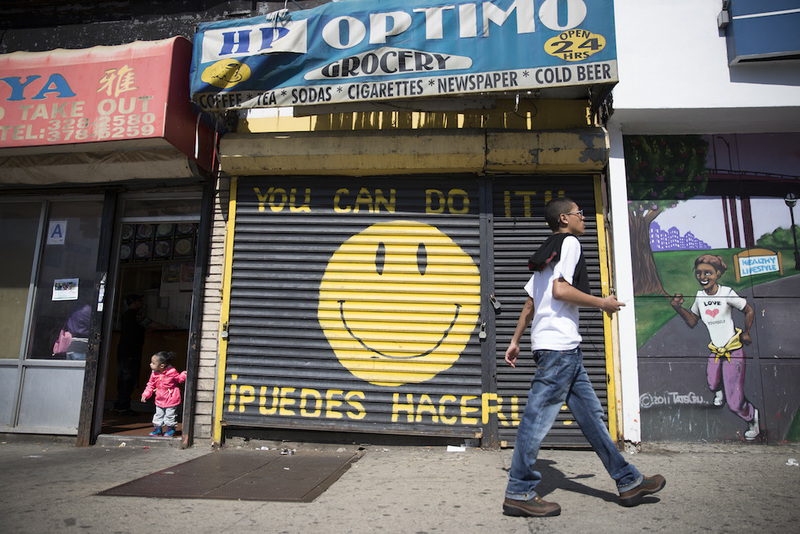 The importance of Hunts Point’s three wholesale markets cannot be understated. 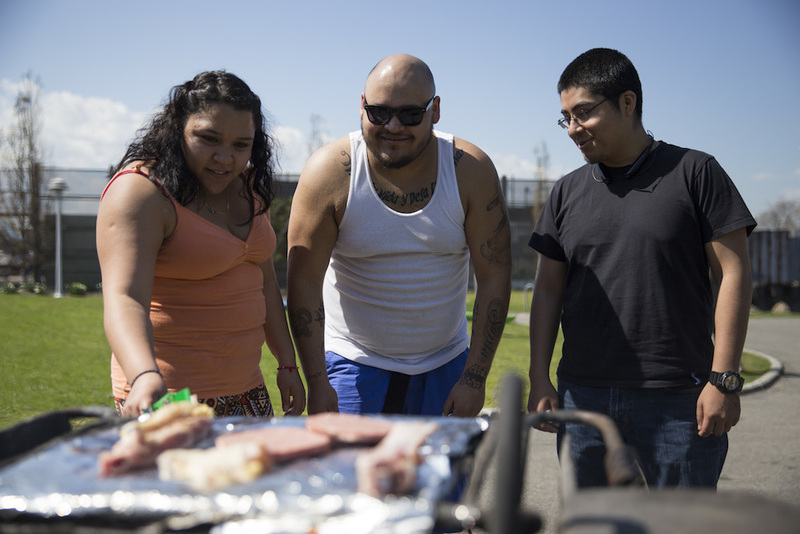 They’re part of a 329-acre area known as the Hunts Point Food Distribution Center (FDC), which is home to more than 150 other smaller wholesale operations. By far the largest tenants, the three markets employ approximately 8,000 people and are estimated to generate more than $5 billion in revenue per year. Because of the FDC’s proximity to I-95 and the Oak Point rail yard, it serves more than 22 million people and 23,000 restaurants in the metropolitan region. Within this system, the markets handle 60 percent of the city’s produce and 50 percent of its meat and fish. Though the three markets play a crucial role, their fate has often been uncertain. The markets have long battled with mayors over how much money should be spent and whether they might pack up and move to New Jersey. Mayor Bloomberg spent years trying to negotiate an unsuccessful $320 million renovation plan – only half of which would have been funded by the government. Mayor de Blasio recently joined the fray by surprising the markets with a promise to invest $150 million in renovations over the next 12 years. He even chose to announce his new sustainability plan, OneNYC, in a Hunts Point community center. Yet despite this attention, many questions remain. Myra Gordon, executive administrative director of the Hunts Point Produce Market, said more details were needed. She also noted that the promised sum will be divided among all three markets. Matthew D’Arrigo, owner of D’Arrigo Brothers Co. – the produce market’s largest tenant – agreed. D’Arrigo estimated that it would cost $400 million to renovate the nearly 50-year-old structure. A $22 million rail facility is already under construction, but the produce market’s most pressing need is a better refrigeration system. Due to lack of space, produce is stored in an estimated 1,100 refrigerated trucks that idle on loading docks to keep the goods fresh. Not only are they costing money, they’re also increasing carbon emissions. 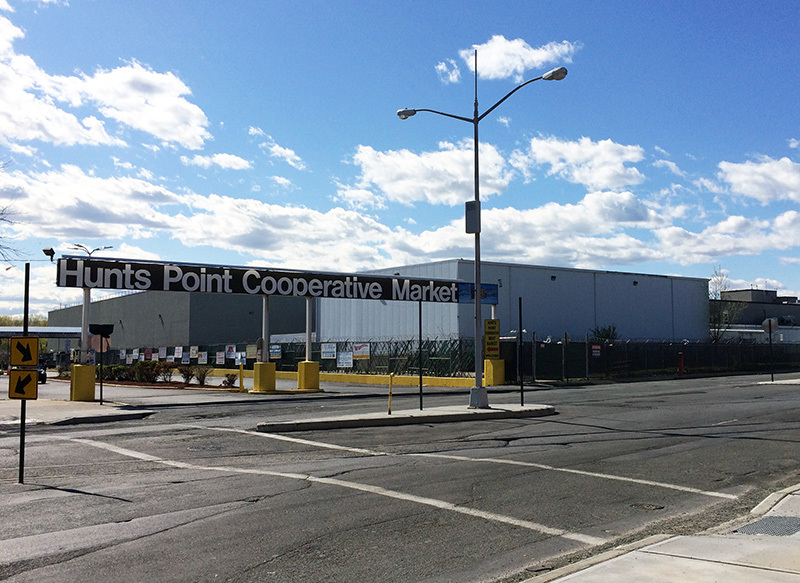 The Hunts Point Cooperative Market, which supplies the city’s meat, is almost as old as the produce market and is also in need of major infrastructure repairs. The entire market is still running on refrigeration technology that was originally installed in the 1970s. Vincent Pacifico, owner of Vista Food Exchange and a member of the market’s executive board, said it was time for drastic action. Pacifico said outdated boilers are another pressing issue. Due to USDA standards, which are enforced by full-time on-site inspectors, hot water must be available for sanitizing at all times. 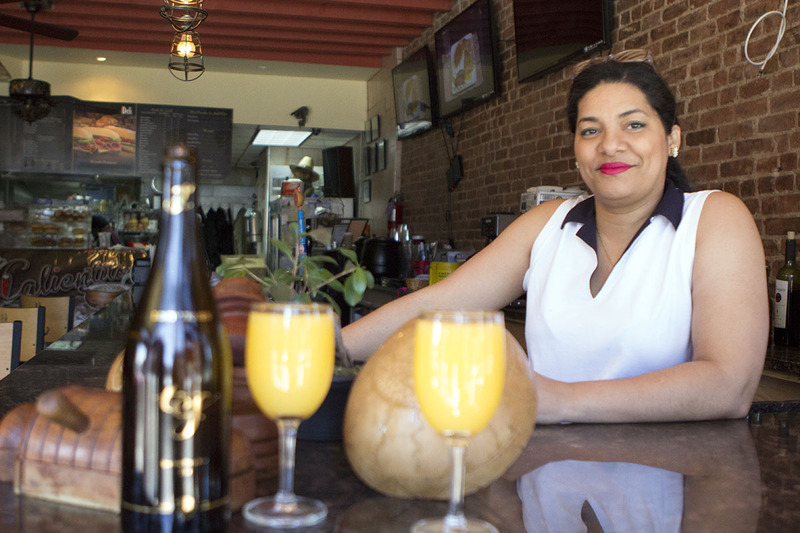 Though the meat market is in the process of negotiating its lease with the city, Pacifico felt that Mayor de Blasio has been receptive to their needs. “It’s good to have a mayor who’s concerned about blue collar workers,” he said. 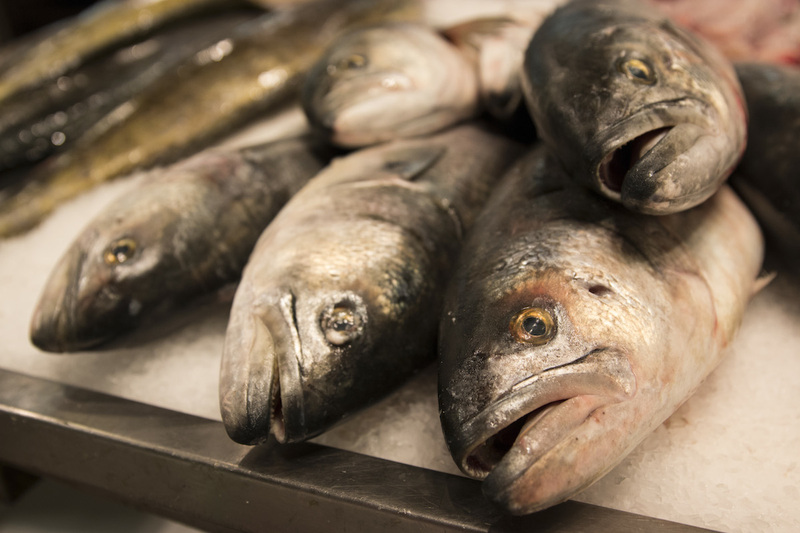 Whole fish wait to be sliced and packaged for sale at Blue Ribbon Fish Co. in the Hunts Point Fish Market (photo by Jessica Bal). The New Fulton Fish Market is less than 10 years old and in much better condition, but has its own needs. Aside from cracks that are developing in the parking lot, the biggest issue on everyone’s mind is rising rent. An increase is expected within the year and many owners are concerned about maintaining their profit margins. Still, almost everybody at the fish market agrees that the new Hunts Point location is far better than the original outdoor venue in lower Manhattan. Stable temperatures, better sanitary conditions and an enclosed facility make workers’ jobs much easier. “I like it here. It’s better for us,” said Anthony Grippa, co-owner of Universal Seafood. Though he has worked in the market full-time since 1973, Grippa recognized that it takes a certain kind of person to work late hours in tough conditions. “It’s wet, it’s dirty, it’s cold, it’s hard work,” he said. This kind of determination is prevalent at all three markets and will be important in the years ahead as they work together in finding ways to survive the next major storm. 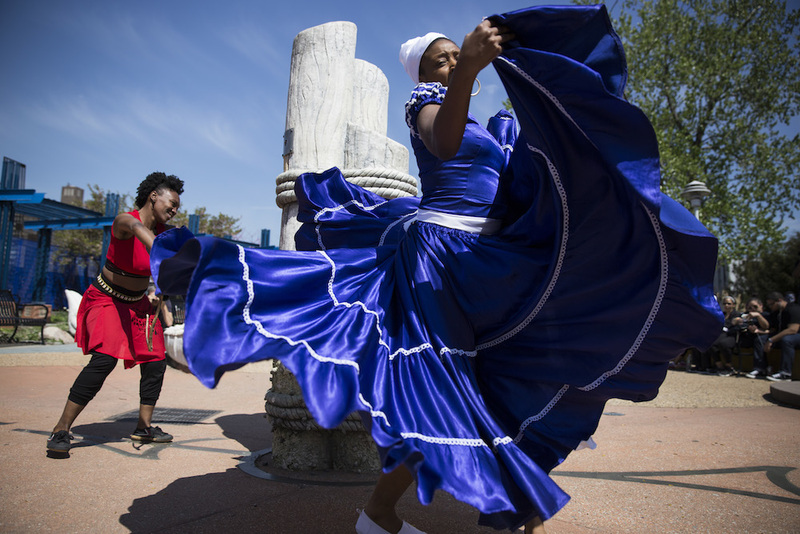 The markets handle 60 percent of the city’s produce and 50 percent of its meat and fish. 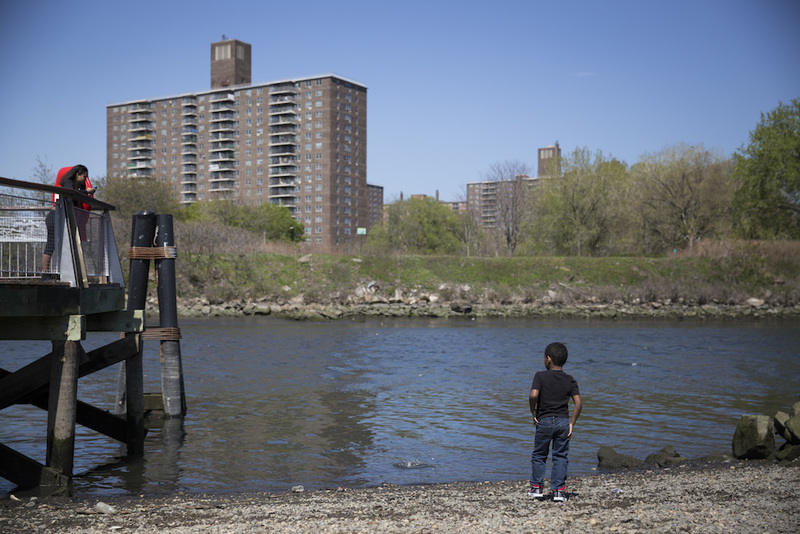 The Hunts Point Lifelines plan, a winner of the federal Rebuild by Design resiliency contest, aims to make the peninsula stronger for whatever comes next. While the overall plan is projected to cost at least $800 million, only $45 has been allocated so far. One possible use of that money would be to build a high-tech power system, which would serve as a back-up during storms and also help reduce emissions. The plan’s full implementation is years away, but lead designer Ellen Neises said it has big potential. “What would be amazing for the markets would be to work out a long-term resilience plan that covers not only present risks, but all their future needs for modernization,” she said. 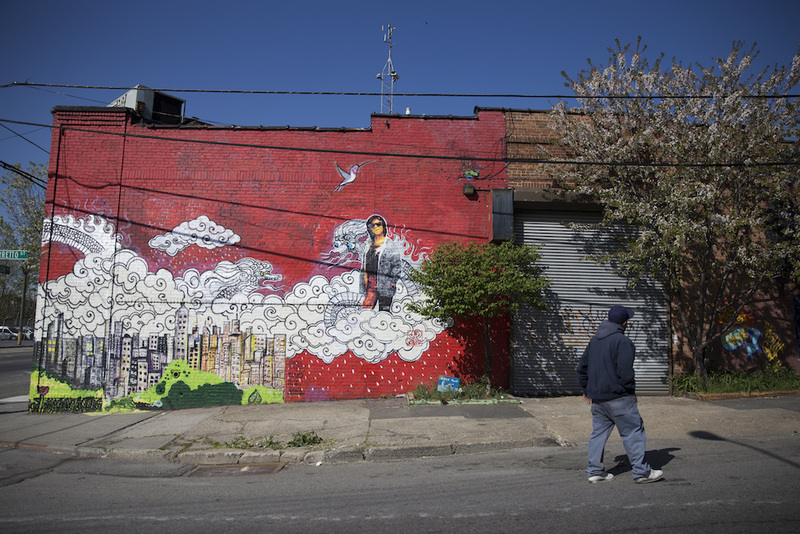 Josephine Infante said that a long-term plan for the markets is crucial for New York’s future. As the city’s population continues to grow, their importance will too.